It's no secret that I have a penchant for the macabre, and I love gothic style things (my inner 00s emo kid will forever be with me). This theme doesn't come up all that often in the beauty world, but when I locked my eyes onto this hairbrush, it was love at first sight. Thankfully, it's also a pretty damn amazing brush too, and hairbrushes aren't something that I tend to get excited about! 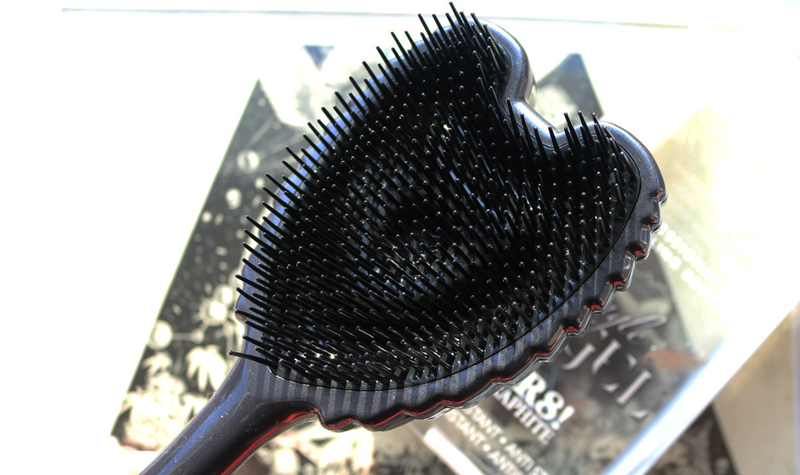 You may have seen the Tangle Angel Brush on numerous blogs and beauty sites before. It had a lot of hype around it last year when Kim K posed with one in her Wonderland magazine spread, but the main reason that people went ga-ga for it is because it's made by Richard Ward - the celebrity hairstylist who does Kate Middleton's hair, and this is the brush that he uses on her to achieve his famous 'Chelsea Blow Dry'. 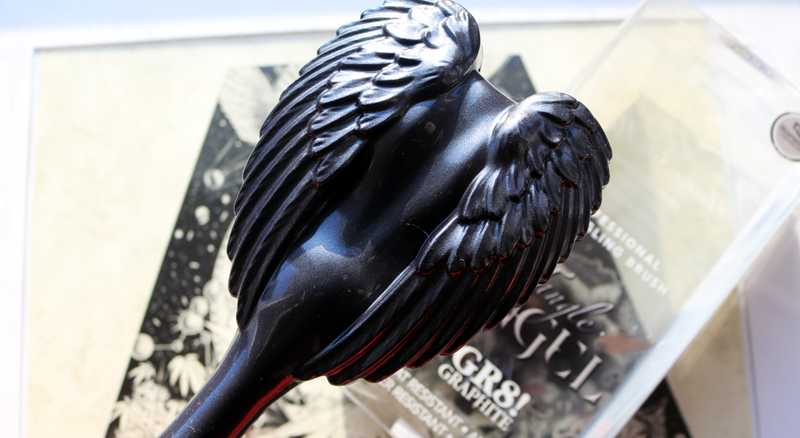 Aside from its cool angel shaped and moulded wings aesthetics, I've been loving using this brush because it's just so easy to get a flawless looking finish with. So what it makes it different? Well for starters, its ergonomic shape means that you can get a really good grip on it. The handle is slim, but comfortable to hold without it feeling like it's going to slip out of your hands, and the angel wings part allows you to securely grip it by the body to use it that way. 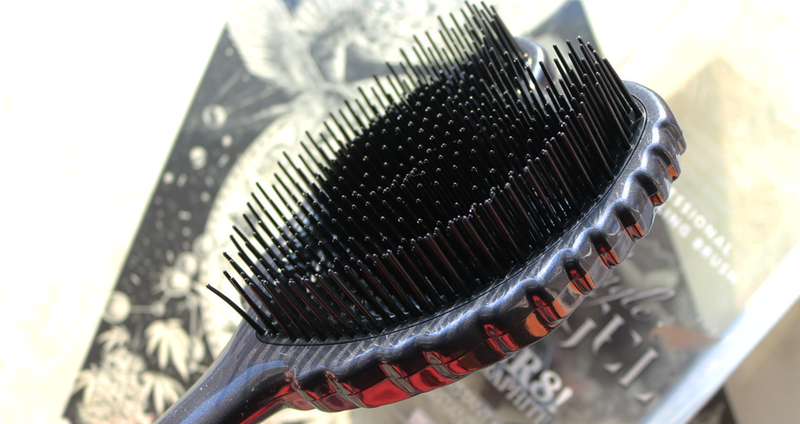 The graduated bristles have a coating on them which makes the brush anti-static so it's goodbye to frizz and flyaways. Next up, it's heat resistant (the bristles can withstand temperatures from hairdryers up to 115C) so it's the perfect companion for blow drying, and it's also water-resistant so you can use it in the shower or on wet hair to detangle it. In addition, it has anti-bacterial properties which keep the brush safe and hygienic to use, meaning your hair stays cleaner and looks shinier for longer. Shiny, frizz-free, Princess hair anyone? Erm, yes please!